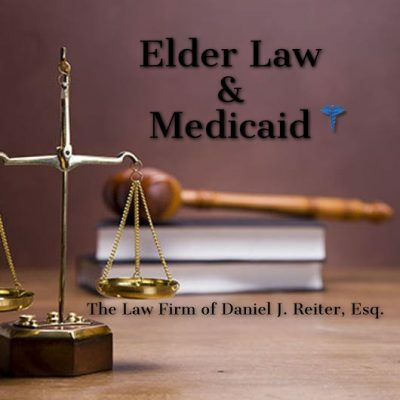 Elder Law and Medicaid Attorney in New York | Daniel J. Reiter, Esq. Long-term care is not medical care and is rarely covered by your health insurance. It’s unusual for health insurance to cover the cost of home care aides, a stay in an assisted living community, or nursing home care. When health insurance does cover such costs, it’s for a very short period of time. Contrary to popular belief, Medicare does not pay for long-term care/custodial care. Medicare will pay for inpatient care in a skilled nursing facility, but only for a very short period of time. Medicaid, on the other hand, does pay for long-term care. Medicaid is government long-term care insurance. However, qualifying and enrolling in the long-term care Medicaid program is a very complex process which should only be approached with the assistance of an experienced elder law and special needs attorney. You can also pay for long-term care services and supports on your own, which is called private pay or out-of-pocket, but the cost of long-term care in New York is astronomically high. In New York City, long-term care in a nursing home can cost over $130,000 per year. Home care can cost as much as $18,000 to $20,000 per month. Many people consider long-term care insurance, but there are many downsides, and after speaking to a financial advisor, many New Yorkers prefer to consult with an elder law attorney to assist in planning for their long-term care needs in a different fashion. Proper planning for long-term care with an elder law attorney is essential to ensure your assets are protected, so you don’t go broke in your later years in life. You can also ensure that your loved ones and caretakers are aware of any preference you may have regarding whether you want to stay at home if you need care. Daniel J. Reiter, Esq. uses Medicaid Asset Protection Trusts and other strategies and vehicles to protect one’s wealth from the high costs of care as they age. You can receive the care you need and leave your wealth to your loved ones and the next generation instead of a nursing home or home care agency. Alleviate your loved ones of the burden of providing day-to-day care which can instead be handled by a professional. Alleviate the financial burden on you and your family in the statistically likely event that you need long-term care. Daniel J. Reiter, Esq. handles all aspects of long-term care planning, Medicaid, elder law, and estate planning. Schedule your consultation today by contacting Daniel J. Reiter, Esq. by telephone at (646) 820-4011 or email Mr. Reiter at djr@djrattorney.com.